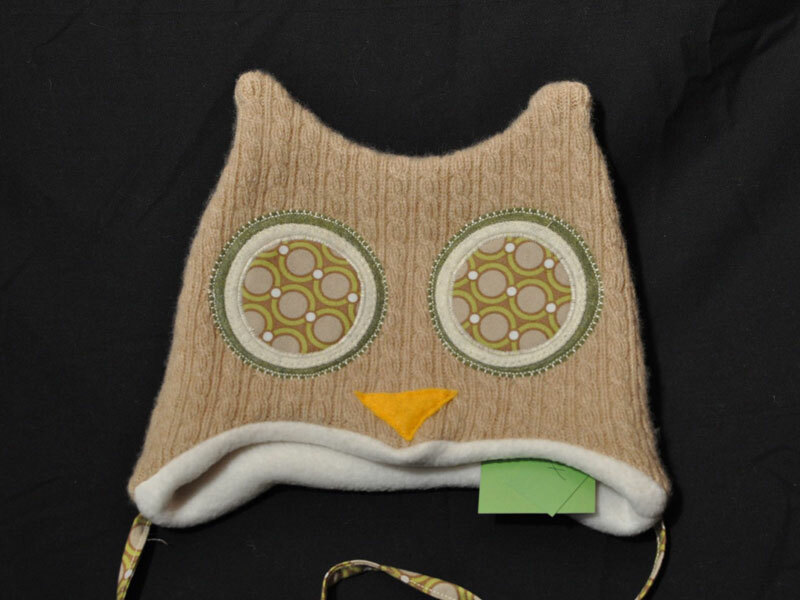 Ok, so we’re partial to things that go “hoo” here at Inhabitots, but we think you’ll agree that Hoo Hats are pretty special regardless of any owl bias. Portland-based designer Charlotte Copper handcrafts these fantastic owl hats right in her dining room. She uses upcycled felted wool sweaters, which she then lines with fleece for added warmth, and she adds eyes and a nose made from fun fabrics and eco felt. The hats are available in sizes to fit newborns all the way on up to adults. We’re calling it — the Hoo Hat craze has officially begun — you can even find Hoo Hats for sale in the Portland Art Museum Gift Shop. Ok, so we're partial to things that go "hoo" here at Inhabitots, but we think you'll agree that Hoo Hats are pretty special regardless of any owl bias. Portland-based designer Charlotte Copper handcrafts these fantastic owl hats right in her dining room. She uses upcycled felted wool sweaters, which she then lines with fleece for added warmth, and she adds eyes and a nose made from fun fabrics and eco felt. The hats are available in sizes to fit newborns all the way on up to adults. We're calling it -- the Hoo Hat craze has officially begun -- you can even find Hoo Hats for sale in the Portland Art Museum Gift Shop.